Does your golf course need a bit of a revamp? 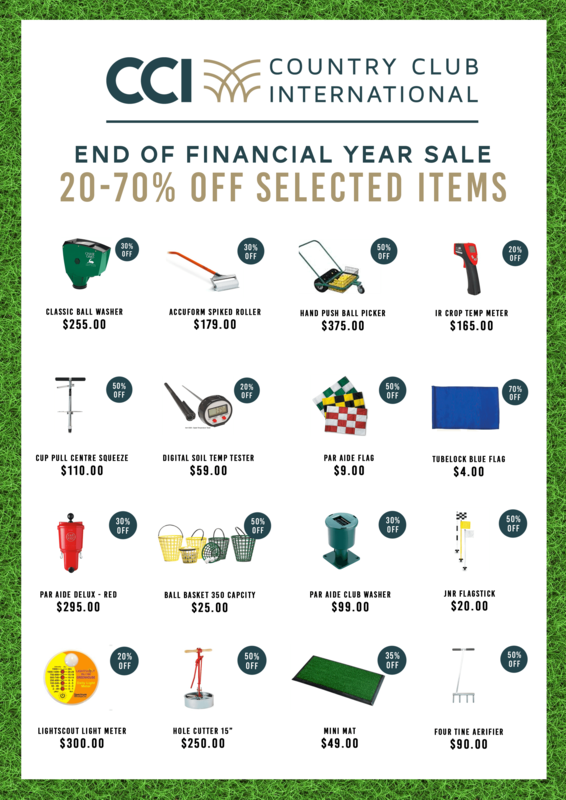 Now is the perfect time to stock up on quality products to suit all your golf course needs with our End of Financial Year Sale! All stock must go. We are having up to 70% off selected items on brands including Par Aide, Range Servant and plenty more! 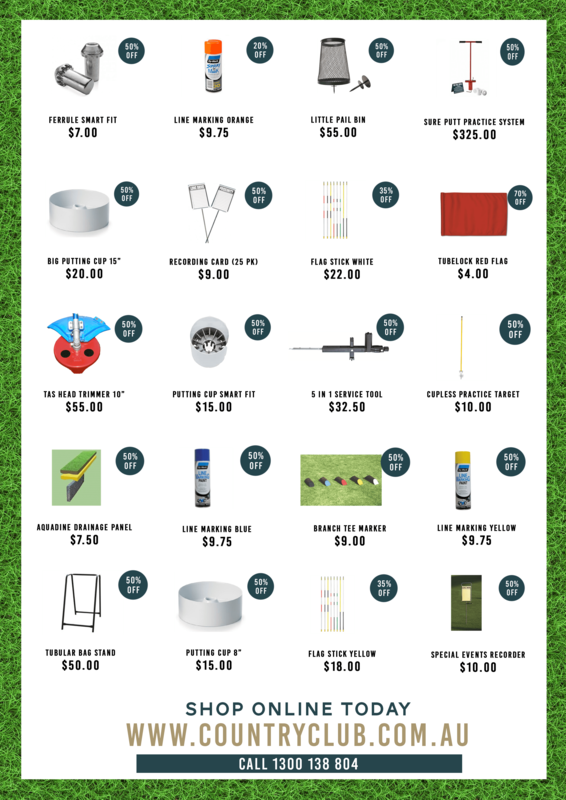 Check out the clearance catalogue below and find yourself some amazing deals! You can now check out all these items through PayPal.